Treatment failures in the study were lowest with injectable clozapine and highest with olanzapine, the most common oral antipsychotic. Treatment of schizophrenia with long-acting injectable antipsychotic agents resulted in significantly lower rates of rehospitalization compared with oral formulations, according to results of a large, prospective, Scandinavian follow-up study published in the July issue of JAMA Psychiatry.1 Treatment failures in the study were lowest with injectable clozapine and highest with olanzapine, the most common oral antipsychotic. A team of investigators from multiple institutions in Sweden and Finland assembled a prevalence cohort from the entire Swedish population of 29,823 individuals aged 16 to 64 years who were diagnosed with schizophrenia between July 2006 and December 2013, as well as an incident cohort that included a subset of 4603 patients diagnosed with a first episode of schizophrenia. During a mean follow-up of 5.7 years, 43.7% of patients (n=13,042) in the prevalence cohort were rehospitalized, and 71.7% experienced treatment failure (n=20,225). Risk for rehospitalization associated with monotherapy was lowest with the long-acting injectable paliperidone (administered once monthly, hazard ratio [HR], 0.51; 95% confidence interval [CI], 0.41-0.64), followed by long-acting zuclopenthixol, clozapine, perphenazine, and olanzapine (HRs ranging from 0.53 to 0.58), compared with much higher rates observed with use of oral formulations flupentixol (HR, 0.92; 95% CI, 0.74-1.14) and quetiapine (HR, 0.91; 95% CI, 0.83-1.00). “The only difference between cohorts was that total cohort included all patients, and the incident cohort included only all new patients who got ill during the study period,” study author Jari Tiihonen, MD, PhD, from the Karolinska Institutet in Stockholm, Sweden, told Psychiatry Advisor. 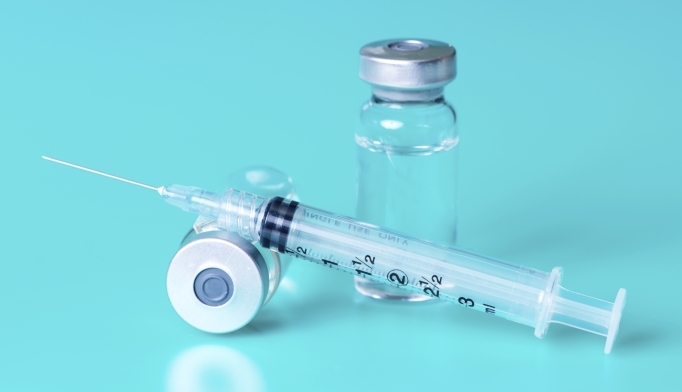 The investigators also suggested that improved efficacy from long-acting injectables may have been in some part a result of lesser adherence possible with oral formulations, as well as their use at low doses. The study outcomes showed that risk for treatment failure was lowest for long-acting injectable clozapine (HR, 0.58; 95% CI, 0.53-0.63), and highest with oral antipsychotic levomepromazine (HR, 1.15; 95% CI, 1.02-1.28). Risks were also lower with all long-acting injectables (with HRs ranging from 0.65-0.80), even after adjusting for concomitant use of benzodiazepines and antidepressants. “I would not state that clozapine should be the first-line therapy, but I think that [long-acting injectables] (rather than orals) should be considered as first-line treatment (of course, all patients starting [long-acting injectables] must have a short test period of the same oral antipsychotic to make sure that the patient can tolerate the medication),” Dr Tiihonen said. Based on the Scandinavian study population, the results could not be generalized beyond white individuals from high-income countries that provided reimbursement for all antipsychotic treatment. The only outcome measures evaluated were rehospitalization and treatment failure, and so data on symptoms, daily function, quality of life, or the incidence of tardive dyskinesias, as well as concomitant mood stabilizing therapies and psychological treatments, were not included. Tiihonen J, Mittendorfer-Rutz E, Majak M, et al. Real-world effectiveness of antipsychotic treatments in a nationwide cohort of 29 823 patients with schizophrenia. JAMA Psychiatry. 2017;74:686-693. Alphs L, Nasrallah HA, Bossie CA, et al. Int Clin Psychopharmacol. 2016;31:202-209. Subotnik KL, Casaus LR, Ventura J, et al. Long-acting injectable risperidone for relapse prevention and control of breakthrough symptoms after a recent first episode of schizophrenia: a randomized clinical trial. JAMA Psychiatry. 2015;72:822-829.